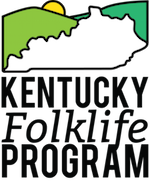 In collaboration with the WKU Cultural Enhancement Series, the Kentucky Folklife Program is excited to host “Kentucky Strings: Bluegrass Music and Beyond,” a showcase of Kentucky’s traditional acoustic music, on April 16 from noon to 6 p.m. Featured performers include Dale Ann Bradley, Kentucky Wild Horse, Mt. Victor Revue, The Pennyrilers, The Carmonas, Becky & the Butler County Boys, and Kentucky Just Us. Plans for the afternoon include two participatory narrative stages with musicians Dale Ann Bradley and John Harrod (Kentucky Wild Horse). From 2 p.m. to 3 p.m., Harrod will discuss his experiences documenting, teaching, and disseminating Kentucky’s traditional fiddle styles. From 3 p.m. to 4 p.m., Bradley, five-time winner of IBMA’s Female Vocalist of the Year award, will lead a discussion on women in songwriting. Both the concert and narrative stages are free and open to the public. The main stage will overlook WKU’s South Lawn, directly behind the Downing Student Union. Visitors are welcome to bring camping chairs, blankets, and coolers, although WKU strictly enforces a dry campus policy. Narrative stages will be held indoors in the union’s auditorium. Free on-campus parking will be available for attendees at Parking Structure 2, situated between the Houchens Industries L.T. Smith Stadium and Diddle Arena. Free parking is available everywhere on campus after 4:30 p.m. CT, with the exception of parking meters. Please refer to this campus parking map when planning your visit. Above: From left to right, Becky & the Butler County Boys, The Carmonas, and Kentucky Just Us. All three groups successfully auditioned to perform for “Kentucky Strings: Bluegrass Music and Beyond.” Photos courtesy of William Kolb, special to Potter College.